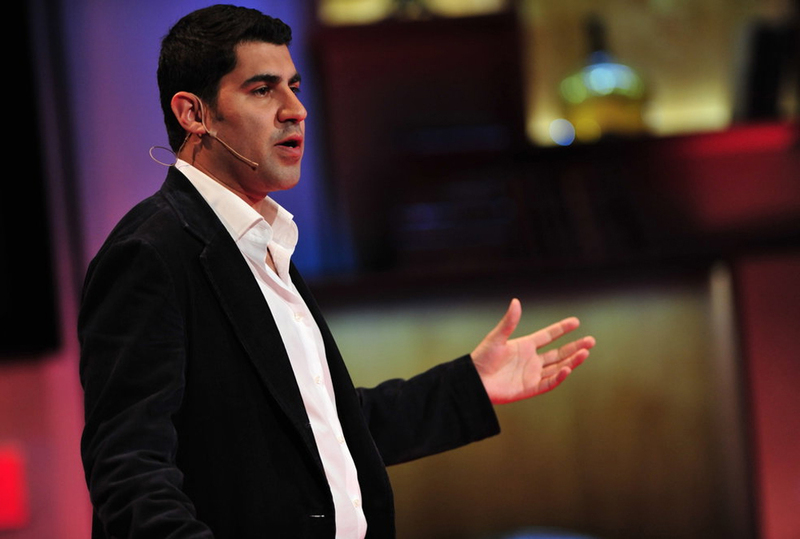 Parag Khanna Microsite | CSA Celebrity Speakers – Parag Khanna is a leading global strategy advisor. He delivers keynotes on data-driven scenario planning including megatrends. "Competitive connectivity is the arms race of the twenty-first century." 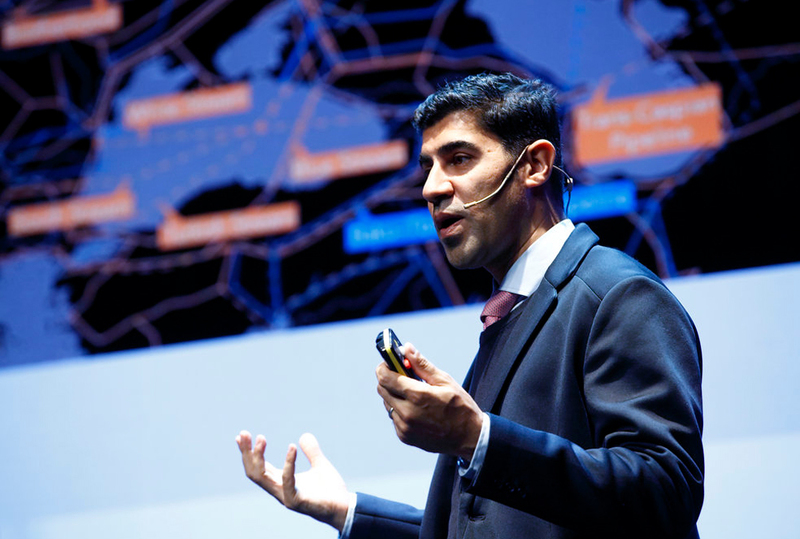 Parag Khanna is a leading global strategy advisor, best-selling author and Managing Partner of FutureMap, a data and scenario based strategic advisory firm. Parag is currently a senior advisor to Globality and serves on the advisory board of several companies. With a PhD in international relations from the London School of Economics, Dr Khanna has been an advisor to the US National Intelligence Council, and a senior geopolitical advisor to US Special Operations Forces. He was a Research Fellow at both the National University of Singapore and the New America Foundation. He has also held several roles with the World Economic Forum, including their Global Future Council on Mobility. 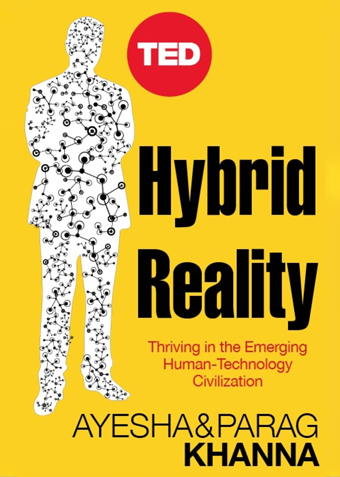 Parag has written a number of highly influential books including a trilogy on the topic of the future of world order, as well as technocracy in the USA and hybrid reality. 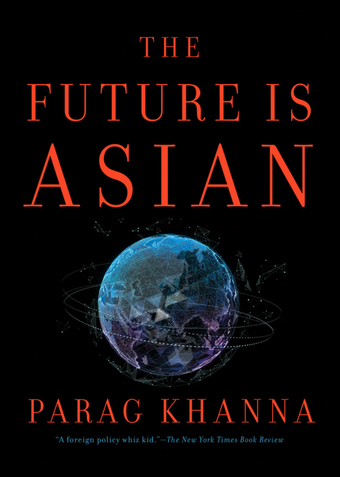 His newest book The Future is Asian: Commerce, Conflict & Culture in the 21st Century will be published in Spring 2019. A TED speaker and Young Global Leader of the World Economic Forum, Parag lectures at international conferences as well as delivering executive briefings to government and corporations on global trends and scenarios, systemic risks and technological disruptions in addition to market entry strategies and economic master planning. Parag Khanna gave us his latest views and insights across a range of topics that are occupying executives both in corporate boardrooms and government departments. As much as Brexit should be reversed, if implemented by March 2019, the UK will need a much more robust strategy around services trade agreements. As I demonstrated in Connectography, the value-added from services far exceeds that from goods and the UK is the second-largest services exporter in the world. On numerous occasions over the past decade I’ve advised the UK Foreign Office and more recently a number of senior officials on how to maximize the benefits from its new Prosperity Fund aimed at driving growth and economic partnership with emerging markets, especially in Asia. In The Future is Asian, I also document the inbound Asian investment into the UK from China and other Asian economies and what the UK must do to continue to be the leading European destination for Asian investors. Presidents more often inherit economic trends than drive them. The Trump administration initially benefited from the confluence of a stronger labor market driving consumption growth, healthy corporate balance sheets boosting business investment, and tax cuts serving as a fiscal stimulus. As interest rates stabilize, however, the business cycle may struggle to maintain its momentum without further support from the credit cycle. This is because of weak aggregate demand owing to declining median incomes (the US is the only advanced economy whose median income declined since the financial crisis) and high inequality. Congressional gridlock over infrastructure and entitlement reforms – combined with the midterm elections and extreme political polarization – set the course for the budget deficit to reach $1 trillion by 2020. The combination of rising interest rates and debt is eroding America’s sovereign credit, while a strong dollar and reciprocal trade tariffs are hurting US exports. We cannot expect equity markets to continue their strong run unless the private sector further expands investment in new infrastructure, industries, jobs and skills. China has managed to defy predictions of a hard landing and will likely continue to use its many policy levers to maintain robust economic performance. Corporate (primarily SOE) and municipal debt represent the lion’s share of its ballooning debt — the former is being addressed by restructuring via the SASAC and the latter by policy reforms and raising taxes. In both cases, the PBOC still has more than $3 trillion in reserves to absorb write-downs and fund recapitalization. At the same time, China is responding to trade tariffs and investment restrictions by opening key sectors from industry to finance to greater foreign investment, which continues to attract Western corporates and investors – even at the risk of accelerating the “Made in China 2025” initiative and other efforts to move China up the value chain that I documented in depth in Connectography. Indeed, China continues its rapid shift towards a services focused economy with ever less export dependence. At the same time, weakening the yuan while increasing the range of partners with which trade is denominated in RMB cushions its economy and others weary of a strong dollar. In The Future is Asian I make the case that China should not be understood as entirely distinct from the fast-growing, young and entrepreneurial Asian neighbors to which it is increasingly directing its trade and investment priorities. This provides yet another reason to be relatively optimistic about China’s economic future with the 100th anniversary of the Communist Party around the corner in 2021. There is no question that globalization is in fact thriving, but it no longer requires Anglo-American leadership, as I argued in this widely circulated article for Politico. Instead, globalization 2.0 will be led by Asia, with China opening many doors for the region’s economies to deepen their internal integration and Europe looking both to further open China while expanding its presence in Asia’s other fast-growing and more open economies. Together, Europe and Asia’s two-way trade across Eurasia far exceeds either’s trade with America — and the gap will accelerate on the back of Belt & Road infrastructure and free trade agreements. As I explain in The Future is Asian, the greater Indian Ocean region now accounts for most global trade growth and is the new epicenter of world trade. Western firms will have to redouble their efforts to compete directly in these high-growth markets if they want to maintain market share against the increasingly confident Chinese, Indian and other Asian companies. Asia no longer belongs in the inaccurate catch-all category of “emerging markets” with countries such as Argentina. Asian markets are weathering both the trade wars and strong dollar well owing to their strong reserves, flexible exchange rates and manageable US dollar debt exposure. Even as Asia’s corporates need to finance significant US dollar bonds, overall sovereign and corporate credit ratings remain solid and local currency bonds provide a very strong cushion. Furthermore, Asian equities are relatively undervalued and provide attractive opportunities for the many Western institutional investors looking to raise their Asian exposure to generate higher yields. The Future is Asian contains a plethora of new charts and graphics attesting to Asia’s strong demographics, growth rates, trade integration, economic reforms and other indicators that I will be actively presenting. ”Parag was an excellent speaker with a unique presentation on taking a different perspective on world geography. As consulting firms struggle to diversify both their public and private sector offerings to the needs of Asian clients, Dr. Khanna’s vast knowledge and experience in advising on critical sectors from infrastructure to finance to retail help you navigate and capture Asia’s growing opportunities. The major transitions in Asia’s economic landscape towards structural reforms, local currency debt issuance, privatization and diversification all offer tremendous opportunities but also risks for the financial sector, with Dr. Khanna providing regional and country-level insights based on his extensive advisory work and research. As Dr. Khanna elaborates, only half of Asia is aging, while the other half is youthful and benefiting from new lifestyles and medical technologies. Asia’s expanding pharmaceutical and medical services sectors present enormous opportunities for life sciences and healthcare companies, with Dr. Khanna’s demographic and socio-economic analysis providing essential insights for gaining ground among Asia’s billions. Asia’s leapfrogging is most evident in the digital technology space, with China, Japan, South Korea and India all investing heavily in AI, Internet of Things and other high-tech areas, while even less innovative countries are making themselves testbeds for the latest 5G networks, digital governance, e-commerce, and smart city toolkits. Dr. Khanna’s analysis the national priorities and competitive landscape of Asia’s technology sectors gives crucial insights to companies seeking to gain market share in digital Asia. As Dr. Khanna points out, Asians are modernizing and getting connected so rapidly that both traditional print and new digital media, television and social media, are growing at breakneck pace. His insights into the platforms most used by Asia’s increasingly savvy citizens are essential for media and communications companies to keep pace with Asia’s billions of digital consumers. Asia is the epicenter of global infrastructure spending and urbanization, with high-speed railways and smart cities emerging as part of major modernization strategies and industrial policies. The infrastructure, construction, engineering and manufacturing sectors will benefit enormously from Dr. Khanna’s insights into national priorities across Asia and strategic recommendations for how to establish and strengthen a long-term presence that capitalizes on the Belt & Road Initiative and other major cross-border industrial opportunities. As Dr. Khanna emphasizes, Asia is both the largest food producing and consuming region of the world, with agricultural productivity and retail distribution now major development priorities across the region. His insights into opportunities for the food & beverage sector will help craft successful market strategies in this competitive landscape. As Dr. Khanna points out, Asians are collectively the world’s largest commodities importers and energy consumers, increasingly integrating their markets through trade agreements, infrastructure and shared regulations. With oil prices still volatile, Asians are also boosting investments in alternative and renewable energy to reduce emissions, conserve assets and trim budget deficits. Dr. Khanna’s insights into Asia’s food-water-energy nexus are essential for industries to understand the future of resource supply and demand for the majority of the world population. As Dr. Khanna explains, Asia’s breakneck consumption growth is underpinned by rapid urbanization and robust middle class and high-income expansion. Consumer goods companies will benefit enormously from his insights into divergent demands and tastes across the region. Dr. Khanna’s expertise in the diverse regulatory frameworks across Asia provide crucial insight into how each major political economy will evolve in the years ahead, enabling legal and professional companies to better forecast regulatory shifts affecting investors and cross-border transactions. The automotive sector stands in the middle of ongoing trade disputes involving China, Japan and Korea, but there is also intense competition to innovate the next generation of electric and driverless cars, with Asia being home to crucial software and policy pioneers. Dr. Khanna’s extensive knowledge of Asian trade and industrial policies allows him to offer enormously relevant strategic insight to the automotive industry’s key players. From Dubai to Hong Kong, Asia now accounts for most of the most visited tourist cities in the world, with significant year-on-year increases in both Western travelers to Asia and intra-Asian tourism. Based on his extensive travels in the region and knowledge of market trends and risks, Dr. Khanna provides insightful recommendations to companies operating across the hospitality sector. Asia’s aviation market is undergoing rapid expansion with the modernization of airports, acquisition of new aircraft fleets and rapidly growing connectivity. As Dr. Khanna points out, already nine of the ten most dense international flight routes are within Asia. Based on his innovative analysis of Asian cities’ growth dynamics, he provides aviation industry leaders with important guidance as they aim to expand their presence in key markets. Asia’s property markets have become a major asset class with rapid urbanization and infrastructure investment offering an enormous new stock of commercial, residential and mixed-use developments annually. With Asia the new epicenter of smart cities and new districts, Dr. Khanna provides important insights into how real estate industry leaders can engage across the design, construction and management dimensions to take maximum advantage of opportunities across the region. Asia’s role as a massive consumer and producer of cultural goods from music to cinema to literature represents one of the most significant economic trends in the world today. Dr. Khanna shares his pan-Asian experience and expertise with entertainment industry leaders, inspiring them with commercial ideas suited to Asia’s culturally rich societies. As Dr. Khanna demonstrates through his in-depth analysis, the logistics sector represents both the foundation and frontier of Asian integration, with transportation, supply chains and e-commerce operating with ever greater ease across the region. Given his extensive advisory of both global and regional logistics industry leaders, he provides rich strategic recommendations to capitalize on the increasingly dense connections among Asian markets. 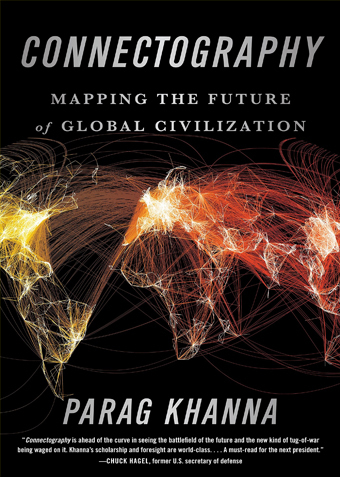 Parag Khanna delivers insight and analysis on the world economy today and in the future. 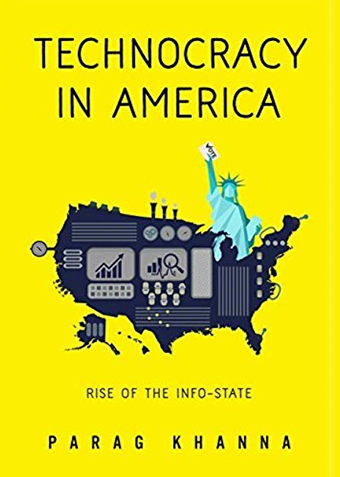 His keynotes demonstrate a unique ability to simplify the complex interlink of geopolitical, economic and business concepts, all underpinned with the latest data and captivating visuals. 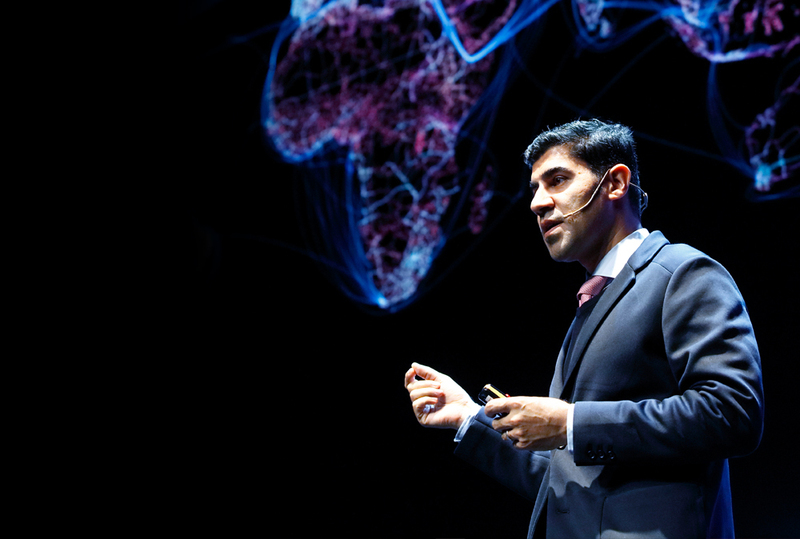 If you would like to book Parag Khanna for your next event, please call Dagmar O’Toole on +44 1628 601 462 or send an email to dagmar@speakers.co.uk. © 2019 Parag Khanna Microsite | CSA Celebrity Speakers.